The Polish American Community of Toledo is happy to announce that along with the Toledo Poznan Alliance, we will be awarding four $1,000.00 scholarships to High School/College students based on academics, extra-curricular activities and an essay submitted about “What Having a Polish-American Heritage Means To Me”. To apply for one of these scholarships, download the scholarship application located on the right. It can be sent to PACT, P.O. Box 1033, Sylvania, OH 43560. The deadline for receiving applications is May 31, 2014. Anyone can apply for these scholarships, so if you have a family members, or know of someone who would benefit from this, please forward this information on to them. Email us at info@polishcommunity.org with your questions. 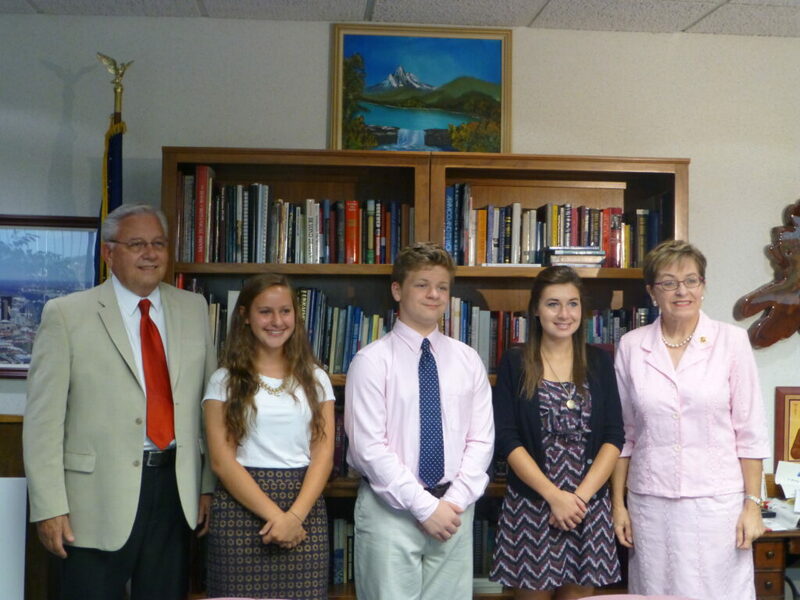 PHOTO: Last year’s scholarship winners, Kassidy Regent, Joseph DuPuis and Emily Howland (winner of the Martin A. Blaszczyk Memorial Scholarship) with Stan Machosky, President of PACT Board of Directors and Congresswoman Marcy Kaptur. PACT NEWSLETTER Hello to all PACT members. We hope that your summer is going well and you are enjoying the great weather while it is here! This summer, PACT was able to benefit from two fundraisers. Both were golf tournaments. The first, held in June was sponsored by Ski’s Restaurant. It was the 3rd annual golf tournament held at the Legacy Golf Club. This year, 56 participants played for first place. 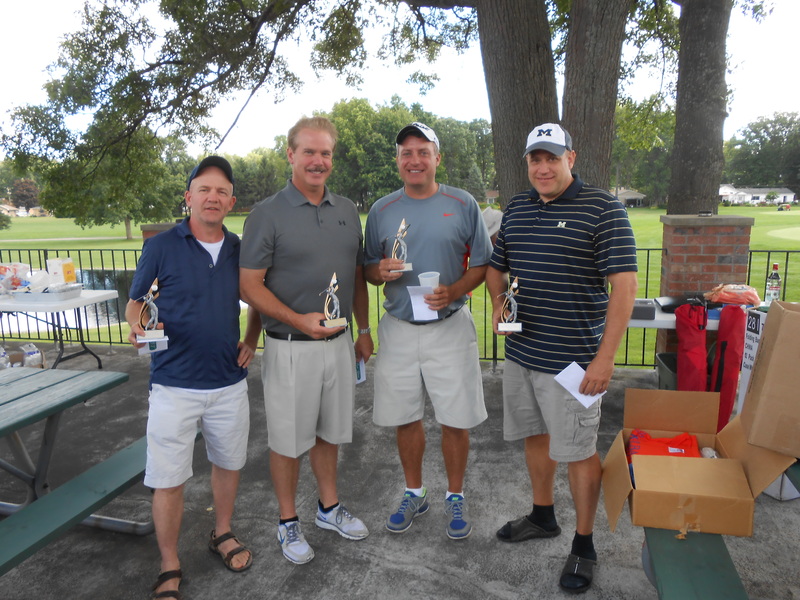 The second golf tournament, The Kielbasa Klassic, was held in August and was sponsored by Ski’s and Stanley’s Market. The 4 man scramble was held at Giant Oak Golf Course. Sixty players participated in this tournament. All proceeds went to the Polish American Community of Toledo. Some of these proceeds will be used for scholarships to area students. We also hope to save money to ultimately create a Polish Community Center in the Toledo Area. We also had a presentation by our Congresswoman, Marcy Katpur in June and another presentation this July by Tom Waniewski, who is running for State Senate. There are a few events coming up that we would like to share with you. Some of them are in the planning stages and as more information becomes available, we will let you know. Starting in September, anyone who enjoys playing euchre can come to Ski’s and play in our euchre tournament. It will start on Sunday, September 12th, and run every other Sunday till November 14th. There will be a cash prize for every tournament played. We are also planning some great events in October for Polish Heritage Month. We will be showing the movie “Nine Days That Changed the World” at the Maumee Theatre. We are also hoping to have an art exhibit of a local Polish artist at the theatre as well. PACT would like to start showcasing some of the local Polish artists throughout the end of this year and into 2011. We are looking for local Polish artists that may want to share their art or even be willing to give a demonstration. PACT will also present its second “Service Award” to an individual of Polish heritage who has contributed their time and talents to serve the Polish community of Toledo area. If you know of anyone who you think deserves this award, please let us know. We are also planning a Kielbasa Cook-off . Anyone who makes their own kielbasa can enter the cook off. Cash prizes will be awarded to first and second place winners. Beer, Polish music and kielbasa; what could be better than that! We will be sharing dates, times, and places for these events on our website: www.polishcommunity.org, as well as on our facebook page and group page. We also list events from other Polish groups in the area so if you know of other group events that you would like us to put on our website, e-mail us at info@ polishcommunity.org, or call us Tim at 419-410-6167. Of course, we are always looking for new ideas and talents from the area’s Polish community, so if you have an idea or a talent to share, let us know. Or if you would just like to help out by volunteering, we would greatly appreciate your help. PACT is currently working on an application for a scholarship to give to a deserving student from the Toledo area. Information on how to apply for this scholarship will be on our website soon. Just a reminder to our members: PACT will be sending out a reminder to members whose membership dues will soon expire. All memberships paid now will be good till the end of 2011. We hope everyone will help PACT out by sending in their 2011 membership fees. Just $10.00 for an individual and $15.00 for a family of two for one year!